When you’re looking for a canal boating holiday you have to decide where to go. The Norfolk Broads offer a cruise without locks, The Llangollen canal offers a stunning view from the Pontcysyllte aqueduct and Birmingham offers more miles of canal than Venice. The Kennet and Avon is known for the Caen Hill Flight and the Regents Canal offers the famous sights of London. But if you’re looking for peace and tranquillity on your narrowboat holiday you may cast aside those “celebrity” waterways in favour of the East of England’s best kept secret; the Fenland waterways. Here are four little-known waterways that every discerning holiday boater should know. At the end of the Northampton Arm of the Grand Union Canal boats can connect with the River Nene, the tenth longest river in the UK. This navigable river meanders through the valleys, hills, villages and towns of Northamptonshire, before arriving in Peterborough. Here you will find a Cathedral, Queensgate Shopping Centre, Key Theatre and the Nene Valley Railway. Ferrymeadows Country Park on the Nene in Peterborough offers watersports, walking, jogging, cycling, horse-riding, a train ride, and fishing surrounded by meadows, lakes and woodland. There are also a number of cafes and a busy events and activity programme. From here you can then boat onwards to the Middle Levels. These quiet waterways are a combination of natural rivers and man-made channels offering a very relaxing way to visit a variety of picturesque towns and villages. The levels are actually below sea level and have to be pumped up to sea-level in order to keep the land drained. The town of March offers several places to eat beside the water and a beautiful church just a short walk from Foxboats marina. You can take your hire boat right through the centre of the two villages Upwell and Outwell, cruising past pubs, houses, gardens and shops. If you’re looking for a charming journey through olden England then head for the fourth longest river in the UK. A boating holiday on The Great Ouse can take in Ely Cathedral, the historic market town of St Ives, the Oliver Cromwell Museum, Buckden Great Tower (where Catherine of Aragon was imprisoned) and the market town of St Neots. 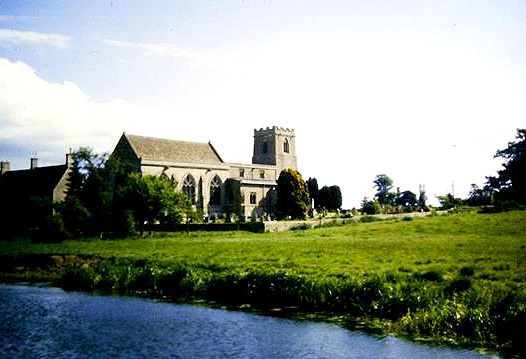 The Cam is a tributary of the River Great Ouse and joins it just south of Ely at Popes Corner. Cambridge is a stunning city and a boating holiday along the River Cam will take in Kings College Chapel and the Bridge of Sighs. You can moor your hire boat below the last lock, by Jesus Green at the limit of the navigation and explore all of the history, entertainment and food that Cambridge has to offer. Now, which of our boats appeals to you, for this summer’s holiday cruise? Still undecided? Sign up for free blog updates to get the best waterways tips that those other UK canals don’t want you to know! (See ‘Follow Blog’ in the sidebar to the right of this article). ‹ MAGPAS will benefit at March St George’s Fayre.